Dr. Charles Zhang is the founder and President of SOHU.com Inc. He also serves as Chairman of SOHU's Board of Directors. Born in 1964 in Xi'an city, Shaanxi province, Charles Zhang graduated from Tsinghua University, Beijing, in 1986 and received the prestigious CUSPEA Scholarship to pursue a graduate degree in the United States. After receiving his Ph.D. in experimental physics from the Massachusetts Institute of Technology (MIT) in 1993, he was appointed by the former MIT provost as the MIT liaison officer to develop strategic partnerships with China. Charles Zhang joined Internet Securities Inc. (ISI) in November 1995 and returned to Beijing to establish the ISI China operation. 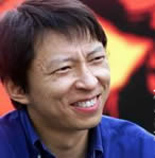 In 1996, Charles Zhang founded Internet Technologies China, later renamed as Sohu.com Inc., and in February 1998 launched the Chinese web site SOHU.com. In October 1998, he was named by Time Digital as one of the world's top fifty digital elite. He has been recognized by the World Economic Forum as a Global Leader of Tomorrow. Dr. Zhang regularly participates in leading international conferences, including the Fortune Global 500 Forum (Shanghai in September 1999, Hong Kong in May 2001, Beijing in May 2005), Fortune Magazine roundtables, and World Economic Forum meetings. SOHU.com Inc. went public with a listing on the Nasdaq Market in July 2000. In July 2001 Charles Zhang co-lead an executive delegation to support Beijing's successful 2008 Olympic bid at the 112th International Olympic Committee in Moscow. In December 2001, he joined the International Advisory Board of the Pew Global Attitudes Survey as an inaugural member upon the invitation by former U.S. Secretary of State Madeleine K. Albright, who chairs the project. In March 2003 Charles Zhang became a member of All-China Federation Of Industry & Commerce. In May 2003 Charles Zhang joined the SOHU-sponsored China Mount Everest team to a height of 6,666 meters in an expedition celebrating the 50th anniversary of the tallest mountain's human conquest. In July 2003 Time Magazine featured Charles Zhang as one of 15 Global Tech Gurus. SOHU was chosen in November last year as the official Internet content sponsor of the Beijing 2008 Olympics. Sohu.com Inc. is China's premier online brand and indispensable to the daily life of millions of Chinese who use the portal network for their news, search, e-mail, wireless messaging, instant messaging, browsing, games and shopping. Sohu has built one of the most comprehensive matrices of Chinese language web properties and proprietary search engines, consisting of the mass portal and leading online media destination www.sohu.com; interactive search engine www.sogou.com; #1 online alumni club www.chinaren.com; #1 games information portal www.17173.com; the top real estate website www.focus.cn; wireless value-added services provider www.goodfeel.com.cn; and leading online mapping service provider www.go2map.com . This network of web properties offers the vast Sohu user community very broad choices regarding information, entertainment, communication and commerce.